Figure in soft-paste porcelain painted with enamels of a man in hunting clothes standing beside a stump with a dog. 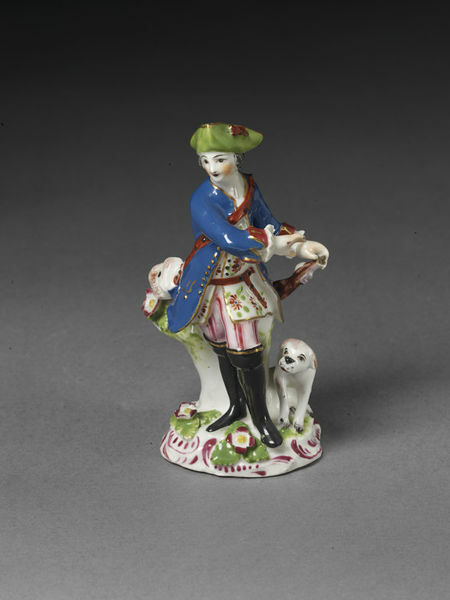 A gun is in his left hand. Crimson scrollwork base. 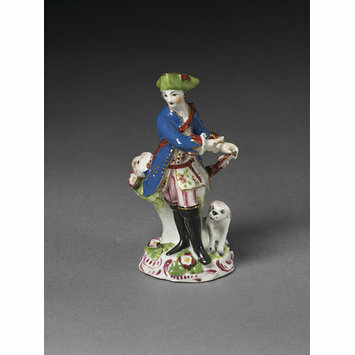 Figure in soft-paste porcelain painted with enamels of a man in hunting clothes with a dog, Bow Porcelain Factory, Bow, ca. 1760.